We're now headed south, after leaving the park, headed for home. - The snow topped mountains are near Flagstaff, Arizona. We're now headed south, after leaving the park, headed for home. 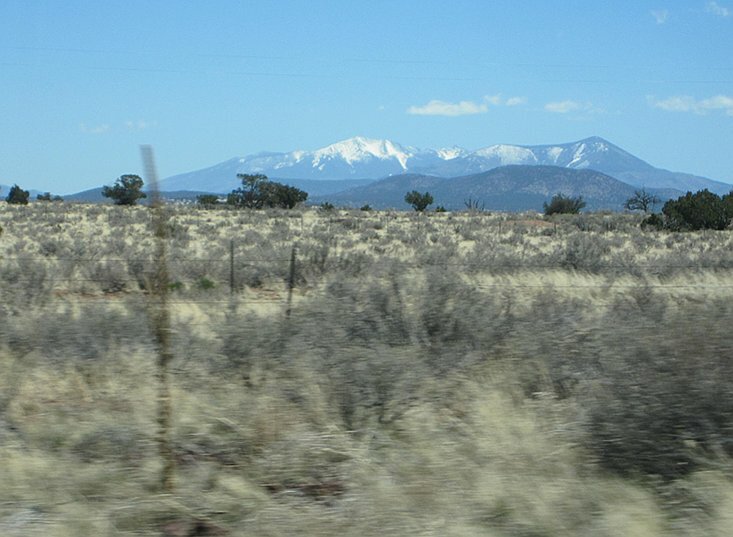 The snow topped mountains are near Flagstaff, Arizona.